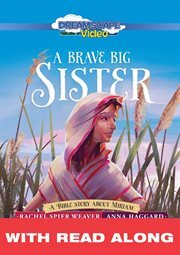 Growing up as a slave girl, Miriam learned how to be brave‚ and smart. When her baby brother, Moses, was in grave danger, Miriam and her mom saved his life. As Miriam matured, she became a gifted musician and discovered other God-given talents. And when God called Miriam‚ along with her siblings to guide the Israelites out of slavery in Egypt, she was ready to lead. With God's help, you can be just like Miriam called and courageous!